Liventus, Inc. (Liventus) is a Chicago based technology company offering a complete array of consulting and development services nationwide, including web site design, graphic design, custom database development, site management, web site promotion, and marketing services to fit your company's needs and exceed your customer's expectations. 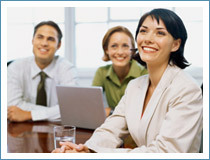 Liventus is always in the market for the finest talent to enhance their design and development teams. Liventus accepts resumes on a daily basis for full-time and internship positions; see below for a comprehensive list of positions available at Liventus.